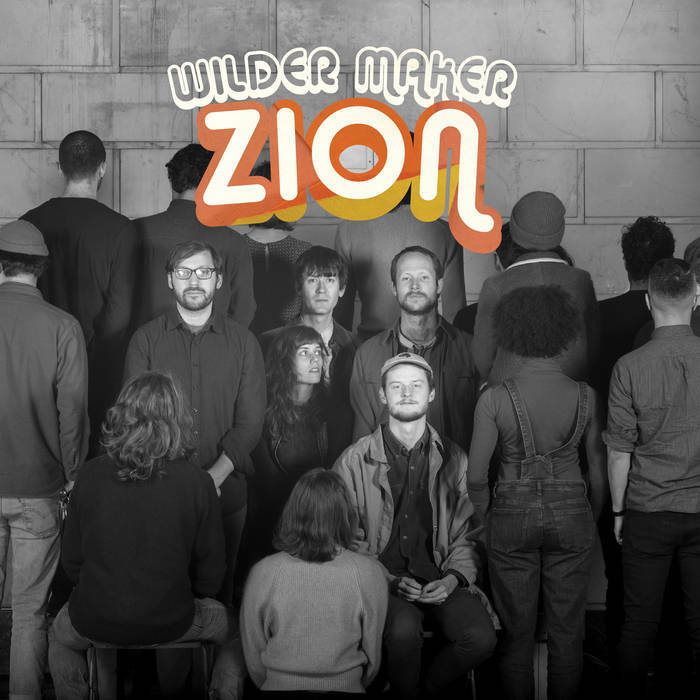 Zion is the third full length release (if you count the series of Everyday Crimes Against Objects of Desire EP series as a whole, which I do) of New York based five-piece Wilder Maker, led by guitarist/vocalist/saxophonist Gabriel Birnbaum. On Zion the band moves past some of the more hushed and Smog-esque sweeping soundscapes of earlier releases while maintaining their unique perspective on inner city living and all it encompasses. Birnbaum and bandmates are adept at expanding dimensions in folk traditions with little flourishes of avant-prog touches of a honking sax or strikingly unnerving guitar work from time to time. Birnbaum’s songwriting has managed to blend some of the ugliness and oddity of life of being a musician/artist with a narrow-eyed approach to the brighter moments as well. “Closer to God” opens the album with a lamentation on inner city living, whether it be feelings of isolation despite being surrounded by so much activity or just the struggle of finding a way to pay rent. The band mixes a bunch of psychedelic swirling keyboards with vaguely middle eastern sounding guitar and building bass scales that gives way to a more minimalistic sway around Birnbaum's somewhat Randy Newman-ish vocals to hold everything in place. There’s a darkness that follows “Gonna Get my Money” around as Birnbaum intones his intention to keep course in the narrator’s life despite any lasting envy of those more successful or those who have changed their path or possibly even given up. There’s a very ragged bar-band (in the Crazy Horse sense) seam here that always seems like it might fall apart at its most frantic moments. Katie Von Schleicher takes on vocals for “Impossible Summer” which adds an extra dimension as she languidly slides around her vocal range in the tale of working through insecurities in a relationship and staying grounded through moments of difficulty. There is an atmosphere of haziness employed by the band that enhances the dream-like confusion or fog in moments of self-reflection, as there is just a sway that never really breaks away in the song. Von Schleicher takes the mic again for “Drunk Driver” where her and Birnbaum harmonize very effectively over twinkling guitar and strong and sturdy drum work holding down the bottom end. The story in “Drunk Driver”’ takes a noir-ish approach to a rather seedy yet not irregular night, which plays to the strength of Von Schleicher’s vocal work. Zion is not afraid to acknowledge moments of grittiness that are always around in day to day existence and tackles them head on, though it may not always be pleasant or pretty. That is not say that the record is one of utter gloom, but there’s a realness that props everything up and makes for some extremely relatable moments. The ability to connect on a deeper level with the listener is evident in these songs, and that really is something to should be lauded as it’s not always easy to find in a lot of songwriting. There isn’t much of an escape to be found here musically or lyrically, but that shouldn’t be a deterrent as the sense of honesty and determinedness is commendable. Wilder Maker aren’t scared to acknowledge frailties or self-doubt, but they also offer ways to work through these moments and forge a brighter path through strength and will.